We were concerned by the irresponsible use of the larvicide methoprene on our coastal wetlands (on Long Island) and how it has altered the natural predator-prey balance and continues to damage marine and terrestrial food-webs. However, there is an urgent need to implement climate change adaption strategies to help us become more resilient to the changes that lay ahead. The heart of Dragonfly Day is implementation of climate change adaption strategies (see the resolution for more details); wetlands are critical for ecosystem services such as clean water, air and wetlands serve as a buffer against storms and absorb flood water as well as acting as a carbon sink. Dragonflies are said to be a “sentinel” species; their presence provides insights into the health and pollution levels of wetland areas. 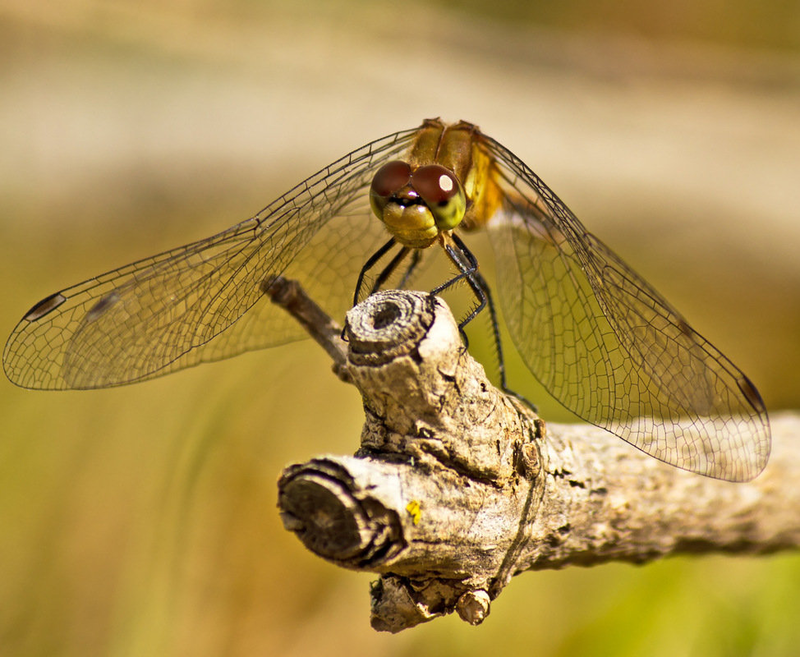 Just as canaries were used in mines to determine levels of harmful gases for miners, the presence (or absence) of dragonflies can give us clues about how degraded our ecosystems are and whether harmful chemicals or pesticides are present. Dragonflies, similar to mosquitoes, lay their eggs in standing water. The resulting larvae (or nymph) can live underwater for up to six years, depending on the species. Dragonfly nymphs have voracious appetites and mosquito larvae are an important part of their diet – they can eat the equivalent of their body weight in food in about thirty minutes. Moreover, according to recent studies, mosquito larvae actually stop developing when in the vicinity of dragonfly larvae. Another interesting fact is that dragonfly nymph molt up to fifteen times before reaching the adult stage, and this is why methoprene and other pesticides are so deadly to them. More than fifty years ago, Rachel Carson was the first scientist to recognize the significance of sentinel species. Carson was a profound writer and cutting edge scientist; her work launched the environmentalist movement. By exposing how chemical corporations were using propaganda and scare-mongering tactics to sell chemicals, Carson became the target of attacks that sought to demean the science and her character. Sound familiar? 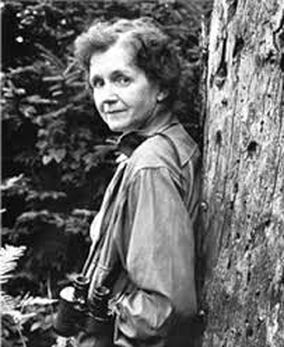 Rachel Carson said, “the ‘control of nature’ is a phrase conceived in arrogance, born of the Neanderthal age of biology.” Rachel’s book Silent Spring exposed how chemical pollutants impact ecosystems, threatening species with extinction and impacting human health. "No responsible person contends that insect-borne disease should be ignored. The question that has now urgently presented itself is whether it is either wise or responsible to attack the problem by methods that are rapidly making it worse. The world has heard much of the triumphant war against disease through the control of insect vectors of infection, but it has heard little of the other side of the story – the defeats, the short-lived triumphs that now strongly support the alarming view that the insect enemy has been made actually stronger by our efforts. Even worse, we may have destroyed our very means of fighting." Today, as Carson predicted, we live in an environment with far less habitat and as a result fewer predators and increasingly weakened coastlines. Additionally, we are in the throes of climate change. To meet future challenges, we need a revised and science-based approach to develop radical habitat restoration programs that will protect our coastlines and wetlands, which serve as buffer zones between us and sea level-rise. ​Environmental prophet Rachel Carson called dragonflies a “sentinel” species: Their presence provides insights into the health and pollution levels of our wetlands. Just as canaries were used by miners to signal the presence of harmful gases in the mines, the presence (or absence) of dragonflies gives us clues about the state of our ecosystems and whether harmful chemicals such as pesticides are present,. Dragonflies, similar to mosquitoes, lay their eggs in standing water. The resulting larvae (or nymph) can live underwater for up to six years, depending on the species. Dragonfly nymphs have voracious appetites and mosquito larvae are an important part of their diet — they can eat the equivalent of their body weight in food in about 30 minutes. Moreover, according to recent studies, mosquito larvae actually stop developing when in the vicinity of dragonfly larvae. But, dragonflies appear to be vanishing on Long Island. One potential reason is the larvicide Methoprene. The chemical is used in coastal wetlands to control mosquitoes, a key dragonfly food source. What’s more, studies have shown that larvicides interfere with the development of all arthropods including dragonflies and crustaceans such as crabs, lobsters and zooplankton. Zooplankton include many small crustaceans that float in the water, and are sensitive to Methoprene. These small animals feed on phytoplankton, which are single-celled plant-like organisms that photosynthesize. Phytoplankton, stimulated by excess nitrogen, can form dense populations creating algal blooms. Algal blooms can ultimately result in low oxygen, and some species produce toxins. Fewer Zooplankton means more toxic or harmful algal blooms. In other words, the human desire for mosquito-free summers has upset the marine food web. 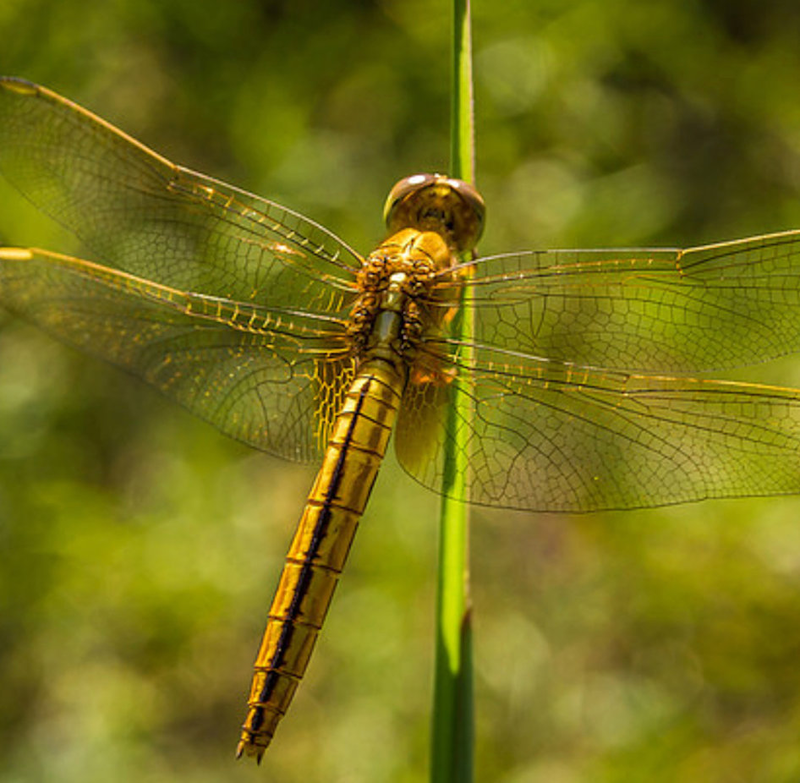 More science is needed concerning declining dragonfly numbers and the possible connection to Methoprene, but the warning signs are clear. It’s time we heeded the subtle, but dire signals of the dragonflies. Our tidal wetlands are in peril, which poses a risk not only to all the species that rely on these unique habitats but also to our health. To meet future challenges, we need to step up science-based approaches to develop habitat preservation and restoration programs to increase wetland biodiversity (including mosquito predators) as well as green infrastructure to protect our bays, coastlines and wetlands. Protecting and expanding wetland buffer zones in the face of sea level-rise and extreme weather events can save millions of dollars (as well as lives). Support legislation for an official day that New York State celebrates wetlands! An annual “Dragonfly Day” on the 2nd Saturday of June. Set the second Saturday of June aside to enjoy group hikes, participate in citizen science studies, attend an educational workshop or spot dragonflies while exploring nature at a local wetland area. Learn about what you can do to help increase biodiversity and coastal resilience in New York and to protect our coastlines from flooding by expanding wetland habitats and increasing plant and animal biodiversity.